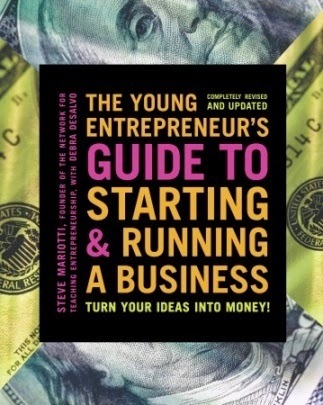 The Young Entrepreneur's Guide to Starting & Running a Business: Turn Your Ideas Into Money! by Steve Mariotti is an excellent resource for teens. In our homeschool, we are using it as part of my son's high school economics course. The readable style and design of The Young Entrepreneur's Guide makes it possible for me to assign reading to my son, and he can complete it independently. Then, we discuss the concepts covered and he completes many of the "Think Like an Entrepreneur" activities, many of which require further research on the internet. Plenty of real-life examples are provided, such as spotlights on real entrepreneurs' stories. There are tons of charts and graphs as well, along with a complete glossary. The simple and clear explanations in The Young Entrepreneur's Guide mean that even if you don't have a background in economics, you can understand and apply the information in the book. We find it to be an accessible resource, and a valuable addition to our high school curriculum. Highly recommended!